We've just returned from a vacation in Northern Minnesota. With the exception of one trip into town to check on email, I was without internet. And I survived. Who knew?! What did I do instead of surfing the web and writing for Rambling Traveler? Swimming, sunning, rollerblading, reading books, visiting with family and friends, and playing with the cutest nieces anyone could ask for. David at Authorblog indicated an interest in what his American readers did to celebrate the 4th of July. 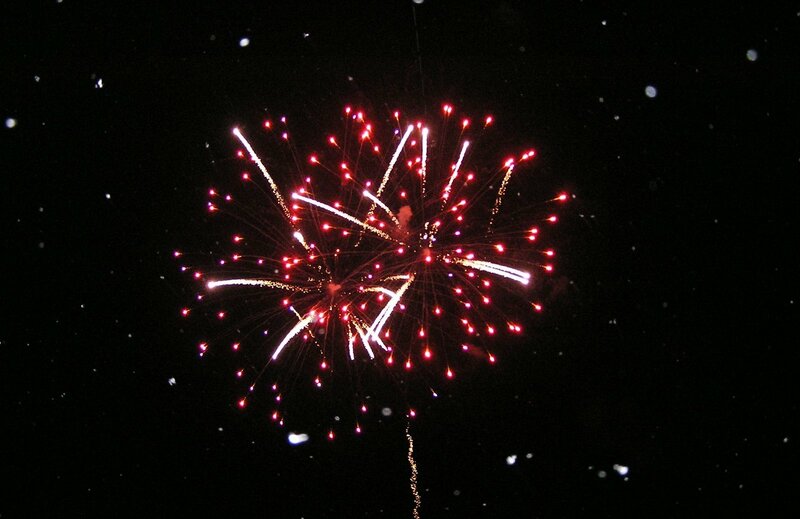 We celebrated with several days of parades and fireworks displays. I love small town parades with the local fire trucks and high school marching bands. People in the parade know people on the street. On a hot day, the firefighters spray us with water, and it feels so good. Children come prepared with bags for all the candy that is thrown their way. Tootsie Rolls, salt water taffy, bubblegum, and lollipops were some of the favorites. Adults come prepared with chairs and blankets for comfortable seating. 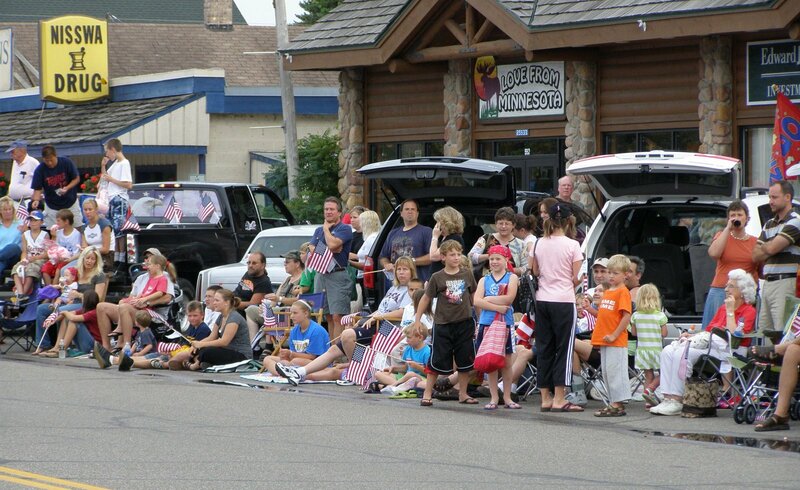 This picture is of the crowd across the street from us at the parade in Nisswa. The lucky ones arrive early enough to find a good parking spot that saves a spot for the family along the parade route. Other people fill in the streets that get closed off for the parade. *trivia* Nisswa comes from the Ojibwe word, nessawae, which means "in the middle" or "three". The town itself and Lake Nisswa are the middle of three interconnected lakes. Now we are back home, and I've got many emails to check, a huge backlog of posts on my RSS reader, and my favorite, baskets of laundry to wash.